Liverpool are yet to decide whether to expand the Anfield Road End, as they are still assessing the performance of Anfield’s new Main Stand. The club are nearing completion of Phase One of their Anfield expansion plans, after the new Main Stand was opened back in September, with Liverpool winning their first home game of the season. 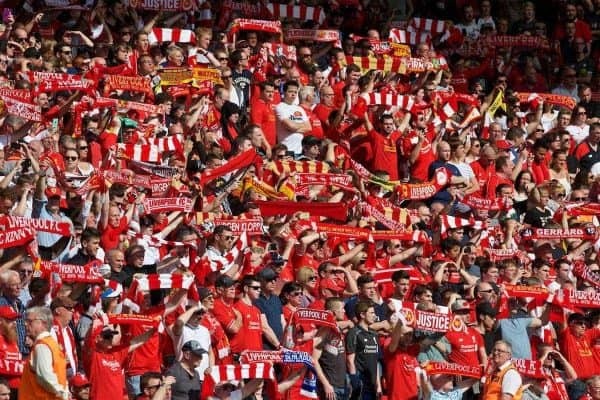 Redeveloping the Anfield Road End, however, is yet to be set in stone, however, though the club have outline planning permission for its expansion, which would add 4,800 extra seats. This would bring the stadium’s capacity up to 58,800, in line with Arsenal‘s Emirates Stadium (60,355) and West Ham‘s London Stadium (60,000). It would be a similar three-tiered design as the new Main Stand, and confirmed at Liverpool’s latest supporters’ committee meeting on January 22, a final decision is yet to be made on plans. “In terms of Anfield Road, and making a decision, it would be based on how well the Main Stand had performed. This is still very much the case,” operations director Andrew Parkinson said. 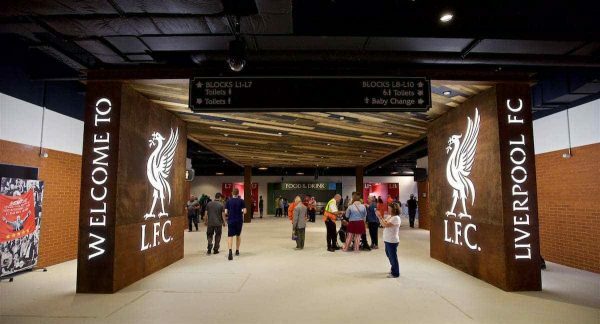 “However, the club has been investigating numerous options with regard to the re-development of Anfield Road and this is similar to the programme the club undertook with the Main Stand. “Each will review different economic and construction models, all of which would need to be in the best interests of the Club. That timeframe is September of this year, with their planning permission set to expire two years after it was granted, giving the club ample time to assess the Main Stand’s success. The addition of a further 8,500 supporters, along with improvements made to both the stadium’s interior and exterior, including new food kiosks and the sensitive relocation of the Hillsborough Memorial, can largely be deemed a positive. There remains an issue with car parking, but Liverpool stressed that “further improvements will be made on an ongoing basis,” while concerns over the efficiency of new staff have been raised. With work still to be completed on players’ areas such as the dressing rooms and the tunnel, along with the development of the new club shop, there should be a better idea of the Main Stand’s impact in due course. But the prospect of the Anfield Road End being expanded is promising, with additional seats all going towards general admission, as opposed to the hospitality areas of the Main Stand. There’s a long way to go yet before the club announce possible plans to redevelop the Anfield Road End, but it is encouraging that it remains in consideration at this stage.